With the Arrabida mountains as its backdrop, the Quinta do Peru Golf Course offers amateurs a pleasant game, whilst also presenting a challenge for professionals. It was voted amongst the top 10 courses in Portugal in the biennial poll organised by the European Golf magazine. With its many trees and wild flowers, the course provides a varied start, for the first three holes consist of a par 5, a 386-metre par 4 and a 186-metre par 3. Amongst the first nine holes, attention is drawn to the short eighth hole, with a lake in front of its green. The next nine holes are even more difficult. Number 12 is a par 4 which, although not very long, has a lake running beside the fairway and down to the green. Then comes what is probably the most difficult test on the course: hole 16, a 200-metre par 3, where one needs to play over a lake to reach the green. The course´s recognised quality has led to its hosting several events from the European ChallengeTour. 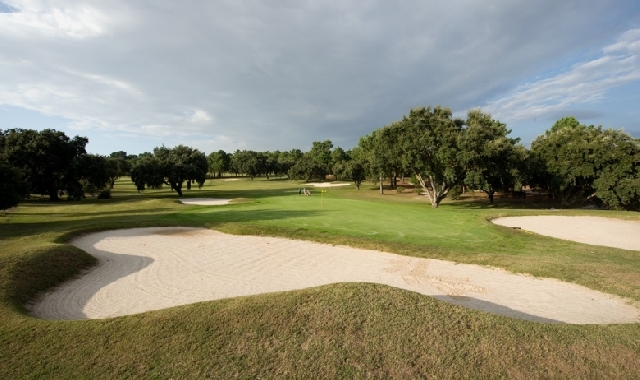 The friendly family atmosphere makes this club one of the most highly regarded in Portuguese golf, its diversified course offering excellent views over the surrounding countryside.